Earlier this week CBS News ran the above image on its site in the Tech Talk section (within the topic Wired for Women, which doesn’t seem to have anything to do with women) under the article An infographic! 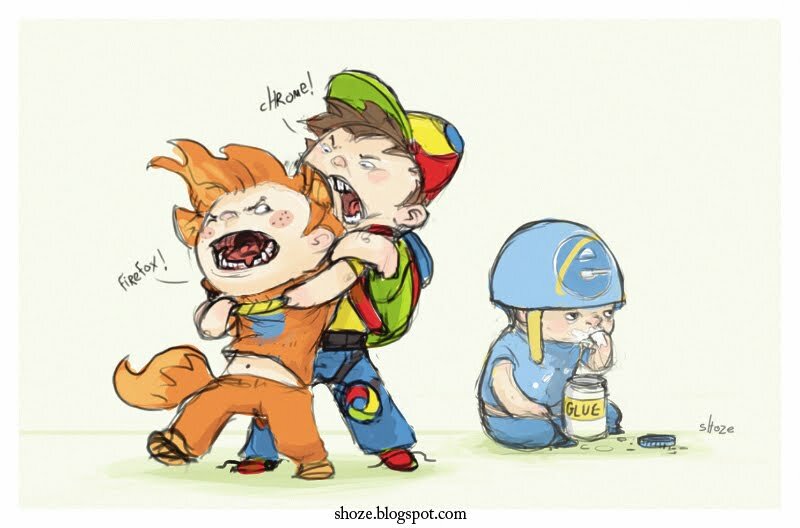 If web browsers were wrestlers… As is common nowadays, any illustration with numbers and witty (or not-so-witty) accompanying images is being called an infographic, and this is no exception. I do think the title is a bit tongue-in-cheek and CBS knows that this image isn’t exactly fact-based. Performance: How well the browser can render a page without choking, whether by slowing down or introducing image artifacts, or just crashing. Standards Support: With the constant revisions to the still-in-development CSS3 and HTML5 specifications, along with related specs, this is even more important given the moving targets. Ease of Use: This includes accessibility and usability. Can my mom use the browser without having to call me? On top of that, how about a power user, how easy to use is it for that audience? Install Base: This is more than just who has chosen to download it, but should include who is forced to use it by corporate policy, lack of technical knowledge, hardware limitations, or public access. 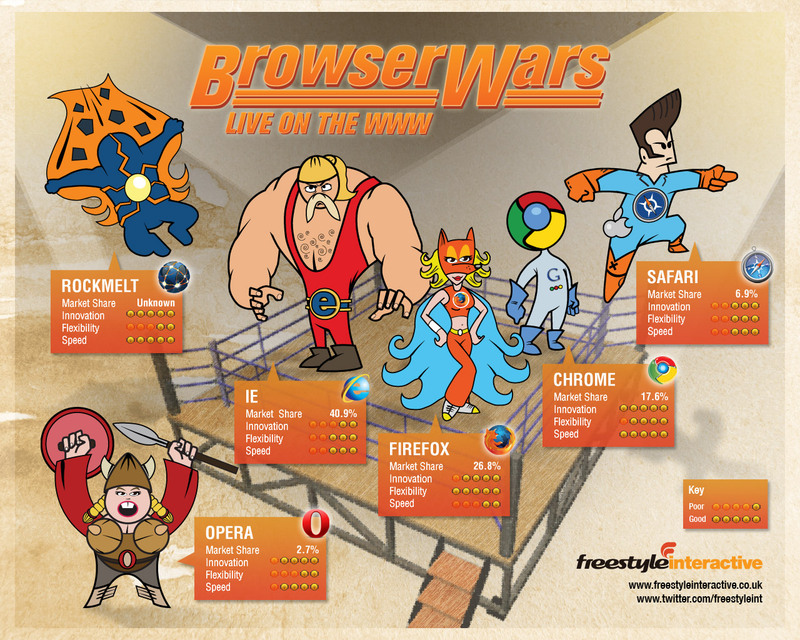 CBS gave each browser a chance to respond/defend itself, specifically Firefox, Chrome, Internet Explorer, Opera, Rockmelt, and Safari. Opera even took it a step further and wrote up a response on its blog, Speed, Innovation, and Flexibility in the Ring. Credit for the above image goes to Galit Weisberg, from The Shoze Blog. Now go to TechCrunch and tell MG Siegler that he stole the image. Bit Rebels took an old illustration of browsers as celebrities, posted it, and claimed it as an infographic: If Web Browsers Were Celebrities [Infographic]. It may be time for a web-wide infographic intervention.